This buckskin bag is available with either a braided shoulder strap or as a belt bag. 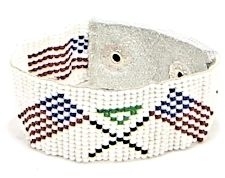 It is decorated with a buffalo horn or bone medicine wheel and bone feather fetishes. The compartment of the bag is approximately 6" X8" and has an antler button closure hidden inside the compartment. This buckskin bag has extra long fringes decorated with brass or silver colored beads and cones, or your choice of cones and glass crow bead colors. 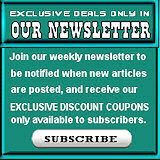 It is available in your choice of genuine buckskin colors (shown in black). Each bag is handmade in the USA just for you when you order it, so allow about a week for completion of this project, and up to two weeks during the peak holiday shopping season. Because no two hand made bags are ever exactly alike, the picture shown is representative. Individual bags may vary slightly from the one shown. 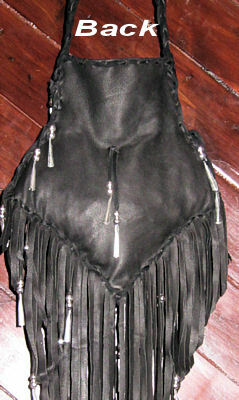 This fringed bukskin bag can be shipped internationally.